In China, there are no laws to protect the welfare of animals on fur farms. 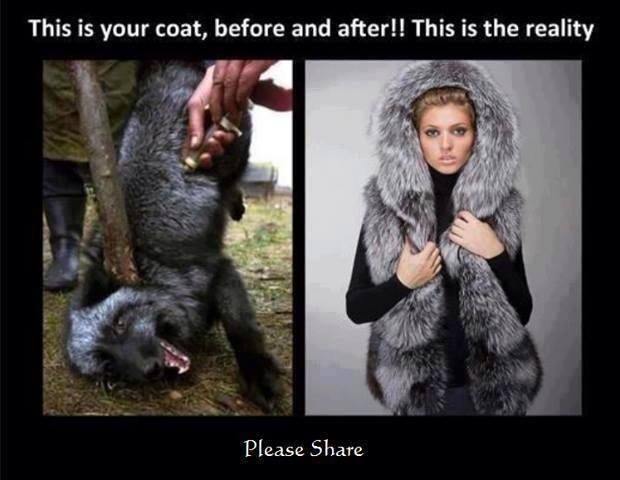 According to the Swiss Animal Protection, animals may be skinned alive. Fur farms in Shandong province hold the highest number of animals, followed by Heilongjiang province and then Jilin province. Hebei province acts as the hub for the marketing of fur. At the Shangcun market in Hebei province, 35 million fur skins are traded each year. It was in the Shangcun-Shangcun market that a 14 minute video was secretly produced in 2005 by the Swiss Animal Protection which shows the skinning of raccoon dogs, foxes and other animals that are still alive and even struggling. The animals are stunned with repeated blows to the head, or by being slammed on the ground. The animals are injured and may convulse, tremble or attempt to crawl away. The skinning may begin while the animal is conscious or regaining consciousness. Desperate and writing in agony, animals hopelessly try to defend themselves even to the point where all the skin had been forced off … breathing, heart beat … and eyelid movements were evident for 5 to 10 minutes.